CAC education guides lead interactive experiences for students that focus on architecture and design. 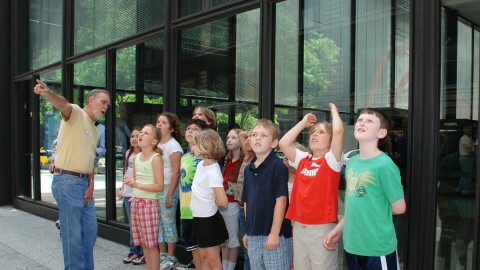 Education guides facilitate 90-minute field trips for students. These interactive experiences focus on architecture, design and Chicago history. Sessions incorporate hands-on collaboration tools to foster critical thinking in young people. What is expected of an education guide? Introduction to the Chicago Architecture Center—A two-hour orientation to answer all of your questions about our organization. Working with the youth—Learn various methods, styles and approaches for teaching a wide variety of audiences and ages.